FIU’s Robert Stempel College of Public Health and Social Work (Stempel), in collaboration with Florida State University’s (FSU) College of Nursing, have earned a $1.275 million grant to address health disparities in Native American communities in Florida. As part of the grant from the Substance Abuse and Mental Health Services Administration (SAMHSA), FIU’s Community-Based Research Institute (CBRI), part of Stempel, will partner with the Center for Indigenous Nursing Research for Health Equity (INRHE), part of FSU’s College of Nursing. The project, titled “Community Partnership Preventing Health Risks among Florida Urban American Indian and Alaska Native (AI/AN) Young Adults,” looks to provide culturally and linguistically appropriate health promotion and disease prevention services for urban young adults in those communities. To carry out the project, researchers also will partner with Florida Pow Wows and various Native American communities. The urban American Indian and Alaska Native population is comprised of over 560 various ethnicities, cultures, tribes, communities, associations, and groups of people, many of whom were moved to urban areas through the federal Indian Relocation Act (IRA). IRA participants were assigned to urban locations distant from supportive tribal settings, cultural resources, traditional structures, and family, leading to lingering health and mental health disparities. The current project is designed to help alleviate these disparities. “We are proud to be partnering with Native American communities and FSU in this effort and are eager to learn from and with our participants how best to end the health disparities plaguing Florida’s urban AI/AN,” said Eric F. Wagner, CBRI director and professor in the School of Social Work at Stempel College. The U.S. Census Bureau reported the total U.S. American Indian and Alaska Native population to be 5.4 million people in 2014, and the total population in Florida to be more than 100,000 people. 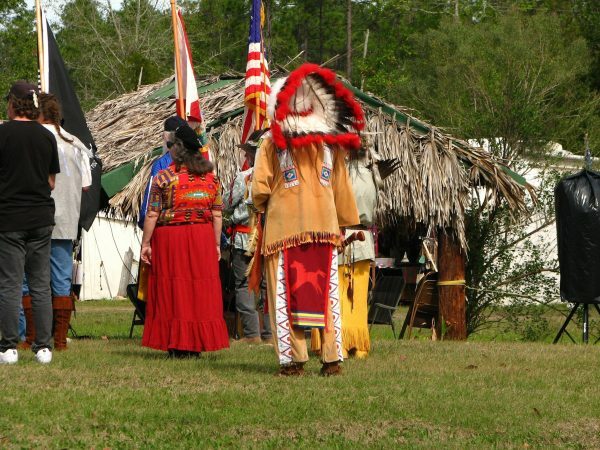 Florida is also home to two reservation-based (non-urban) tribes. However, the majority of the 100,000+ American Indian and Alaska Native people living in Florida are urban and not members of the reservation-based tribes. This project targets Florida’s urban-dwelling American Indian and Alaska Native people who mostly reside in the central and northern areas of Florida. “There remain enduring health disparities, substantial service gaps and a large, unmet need for state-of-the-science prevention for substance abuse, HIV/AIDS and viral hepatitis among urban American Indian and Alaska Native young adults in Florida,” Lowe said. “This project will contribute significantly and meaningfully to closing this gap and addressing these health disparities. SAMHSA is a branch of the U.S. Department of Health and Human Services that is charged with improving the quality and availability of treatment and rehabilitative services in order to reduce illness, death, disability, and the cost to society resulting from substance abuse and mental illnesses. CBRI is a multidisciplinary prevention research institute devoted to the design, implementation and evaluation of community-based prevention and brief intervention strategies for reducing risk behavior problems and enhancing well-being among youth. The group’s research and applied endeavors have focused on school- and community-based health promotion, particularly among individuals at-risk for alcohol or substance use problems, sexually transmitted infections and antisocial behavior. Such a great move can benefit the Native American communities in Florida. It is hard to imagine that native Americans are suffering while this great country spends loads of money helping other countries.